Andydrewz's Pages: Celebrate the Return of TV's Dr Who with this Collectorers's Music Box! Celebrate the Return of TV's Dr Who with this Collectorers's Music Box! TV Dr Who is back and it's about music boxes. 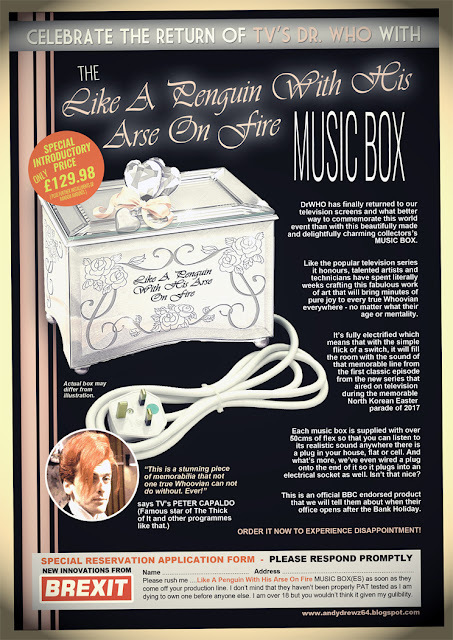 In particular, this charming collectable now available via download from your local music box app.